Hemp and Cannabis (or Marijuana) come from the same plant, Cannabis Sattiva, and contain groups of chemical compounds called cannabinoids. The main active ingredient in Cannabis is a cannabinoid known as THC (delta 9-tetrahydrocannabinol), which is psychoactive and causes mind-altering effects. Cannabis farmers have created hybrids (mixtures) across certain breeds of Cannabis species to increase the concentration of THC in these plants. CBD (cannabidiol) is another cannabinoid but is not psychoactive and is the main ingredient in Hemp plants. Hemp is farmed to produce CBD oil along with textiles, rope and biofuel. Hemp plants also contain THC but at very low levels. The claims suggest CBD may not alleviate or cure the condition but may improve quality of life by reducing stress or improving appetite for instance. CBD is thought to work through the Endocannabinoid System (ECS) of the human body which research is ongoing. 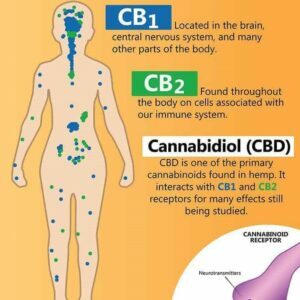 At present, the evidence –based healthcare organisation Cochrane has stated that there is currently “no high quality evidence” supporting the use of CBD. This does not mean that cannabinoids do not work however, but that high quality research studies have not been conducted into their use. Numerous low and medium quality studies have been conducted which support the claim of potential benefits. 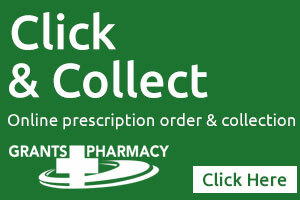 Celtic Wind CBD Oil is currently being stocked by some of the Grants Pharmacies . 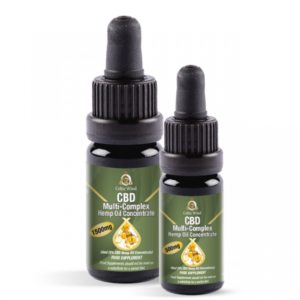 It is a 5% CBD Hemp Oil Concentrate that is manufactured from hemp grown in Co Louth. The daily dosage is one full dropperful (0.7ml) under the tongue daily. Figure 2. 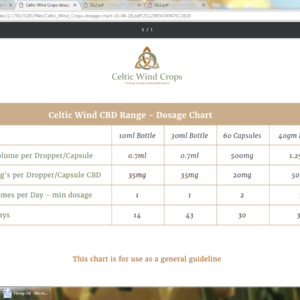 Dosage Chart for Celtic Wind CBD products. 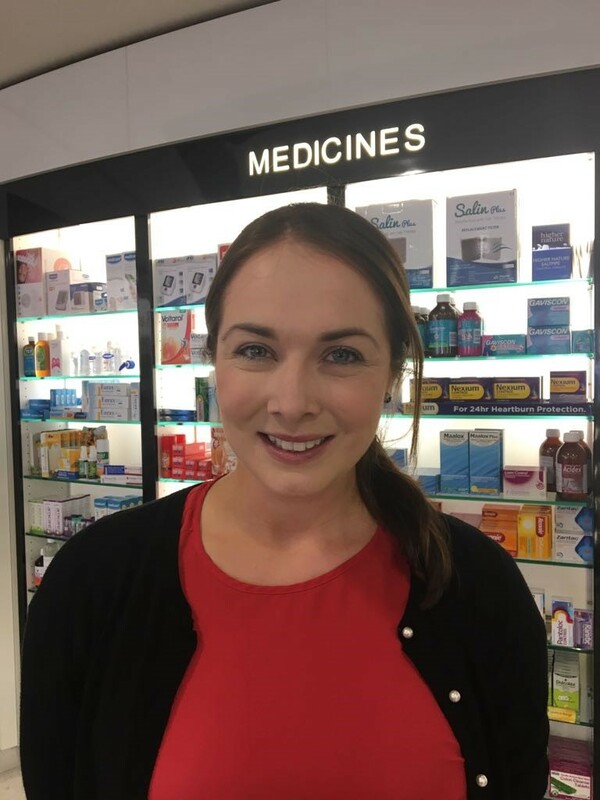 However, there are no standard dosage charts available because dosage seems to be related to weight, age and severity of the condition to be treated. Guidance suggests starting low and gradually increasing the volume to obtain best results. It is also important to maintain each dose for several days before adjusting. Side effects include dry mouth and drowsiness/ alertness.